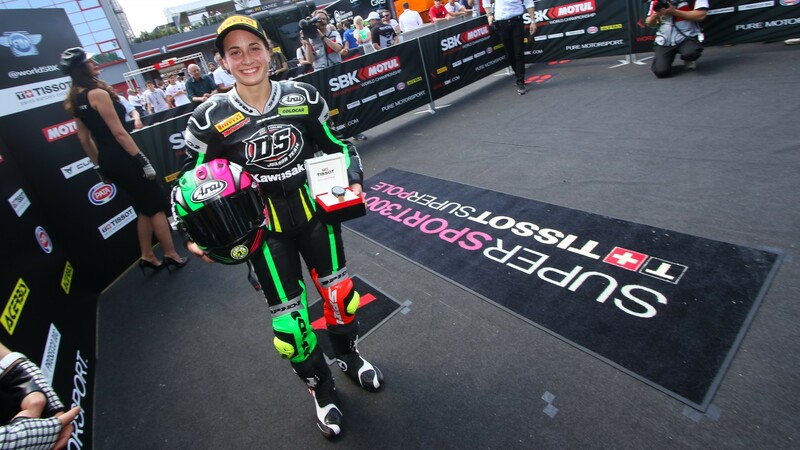 An extraordinarily fast Ana Carrasco (DS Junior Team) clinched the third Superpole of the FIM Supersport 300 World Championship season, smashing the track record and beating the second rider by nearly a second. 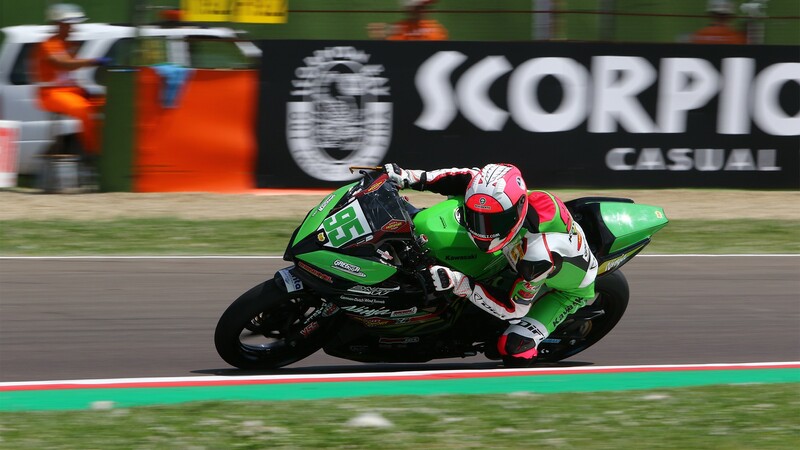 Carrasco is the first female rider to take pole in the WorldSSP300 category. The qualifying was drama-filled from the first moment, with notable absences in the Superpole 2. 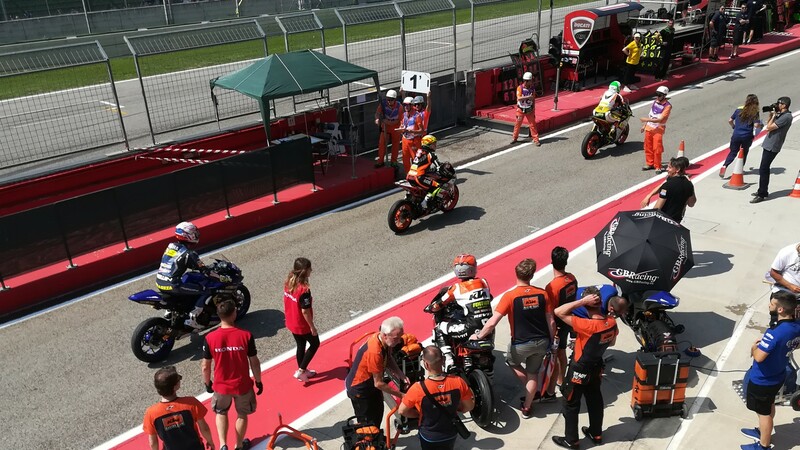 Both race winners of 2018, Luca Grunwald (Freudenberg KTM WorldSSP Team) and Koen Meuffels (KTM Fortron Junior Team) were unable to make it through the Superpole 1, as was the case with last year’s poleman Mika Pérez (Kawasaki ParkinGO Team), who crashed after just three laps. 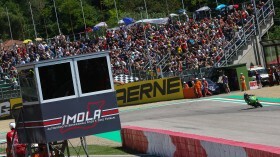 At the start of Superpole 2, Carrasco stayed behind from the pack, as the other riders huddled together in an attempt to use the brief slipstream moments Imola allows for. Riding by herself proved to be an excellent strategy, as the Spaniard set fastest lap after fastest lap. After also topping the charts in the Free Practice sessions on Friday, she will be confident at her chances of a first win in 2018. 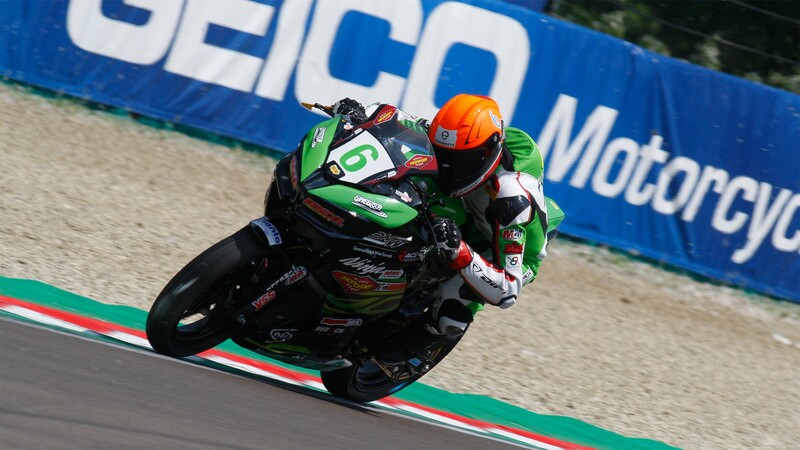 Behind Carrasco, championship leader Scott Deroue (Motoport Kawasaki) came in second, and will be accompanied on by fellow Dutchman and teammate Robert Schotman (Motoport Kawasaki), with his first front row start of the year. One event rider Manuel Bastianelli (PRODINA IRCOS Team) was the first home racer on the grid in fourth, followed by Borja Sánchez (ETG Racing) and wildcard Kevin Sabatucci (PROGP Racing). Update 12/05: Following the Superpole 2 session, several riders suffered grid penalties in accordance with Article 1.21.2 of the 2018 FIM Supersport 300 World Championship Regulations. 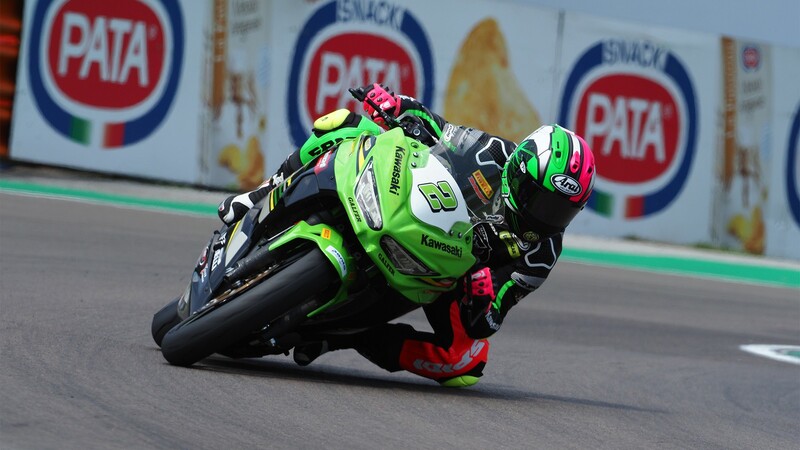 The riders were sanctioned by Race Direction because of “irresponsible and dangerous riding”, after they slowed their on-track pace in the closing minutes of the Superpole 2. As such, the revised starting grid for the two first rows is as follows: 1. Carrasco 2. Bastianelli 3. Jähnig 4. Sabatucci 5. Kalinin 6. Deroue. 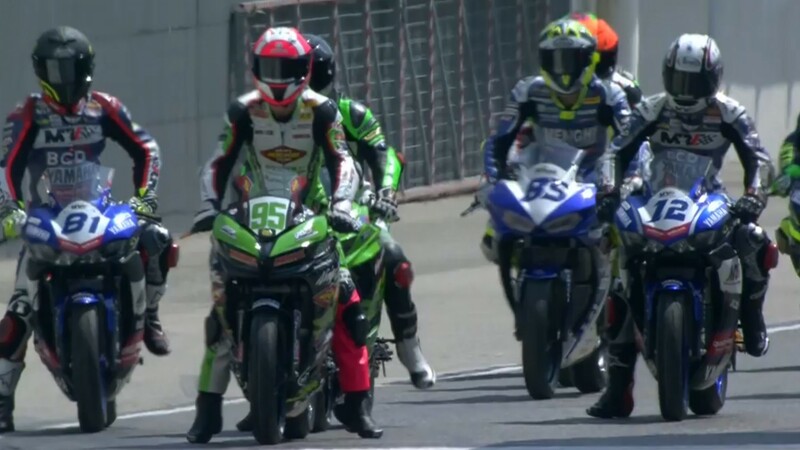 An electric WorldSSP300 race awaits on Sunday, starting from 14:20 (12:20 GMT)! 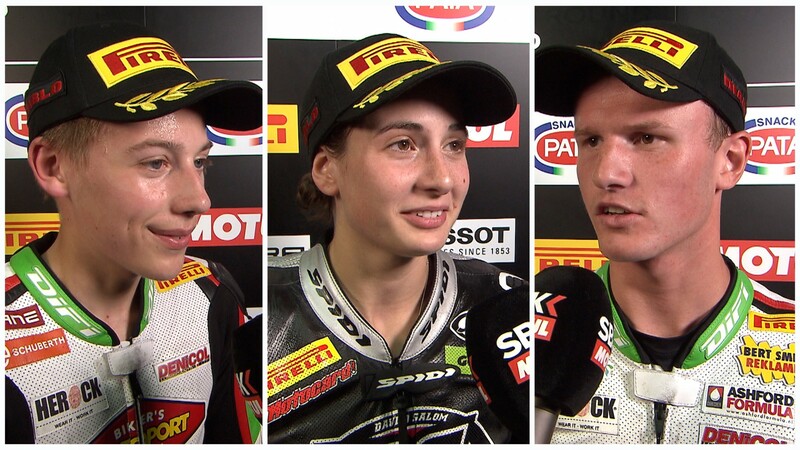 Catch the third date of the season, plus all the reactions and best bits, thanks to the WorldSBK VideoPass.